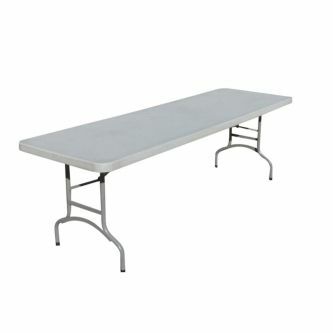 Looking for tables and trestle tables to hire? 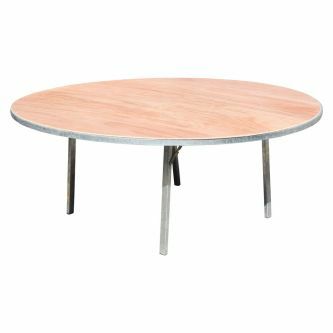 Our wide range of tables means you have greater flexibility when planning your event as you can mix and match to suit your desired layout. 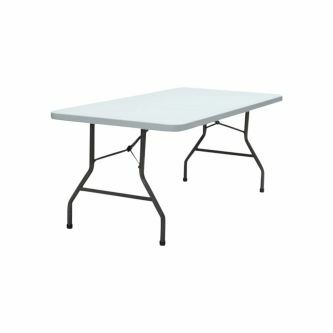 The trestle tables are of uniform height and width, so you can use adjacent tables to create ‘L’ or ‘U’ shaped layouts, as needed. 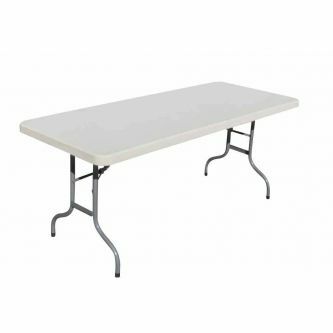 The wooden trestle tables we hire out are very stable and are ideal for seated events, food service or display tables, while the plastic trestles are light-weight, easy to shift, and ideal for events that may require outdoor seating, displays or table arrangements. 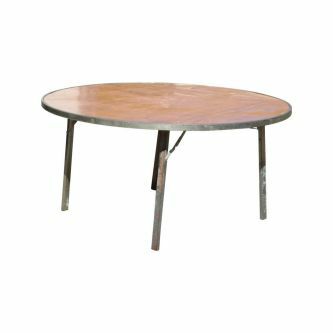 Our large round tables seat up to ten people very comfortably, and we have smaller tables to suit more intimate seating arrangements. 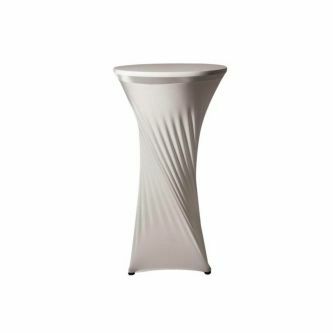 There is also a selection of cocktail bar tables create a stylish and social space for cocktail parties, making it easy for people to mingle while standing. 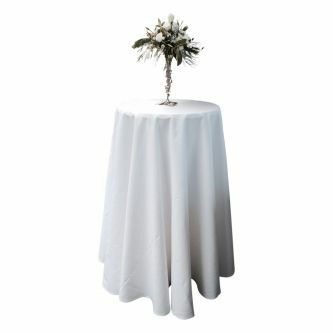 They can also be covered with a white or black sock to add an elegant touch or suit particular themes. 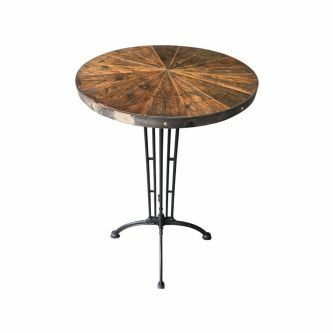 Our high bar tables with marble-style top provide a place for people to gather in a relaxed, social environment, and a great for larger cocktail parties. 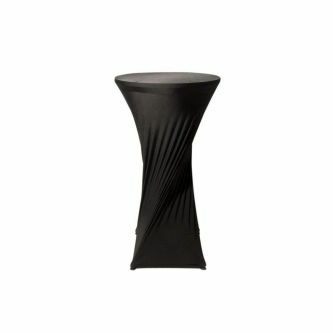 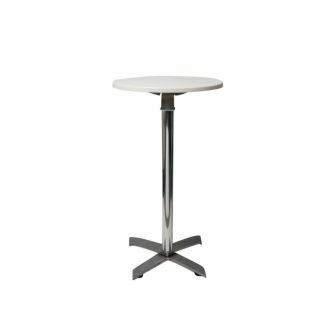 They work well as standing-only tables or with bar stools placed around them. 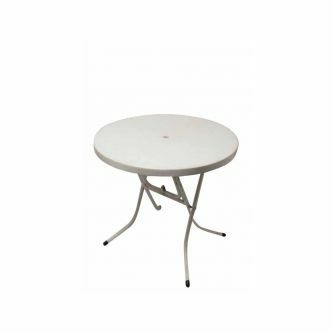 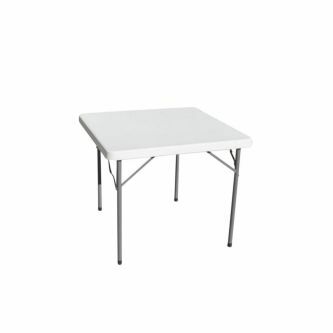 The folding trestle tables have either wooden or plastic tops, as do the round tables. 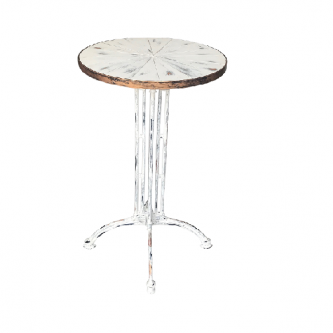 They come in a range of heights and diametres – please check the product listings for details. 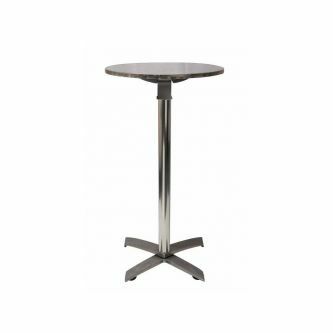 Our cocktail bar tables for hire come with either a stainless steel top, white top of marble-style top. 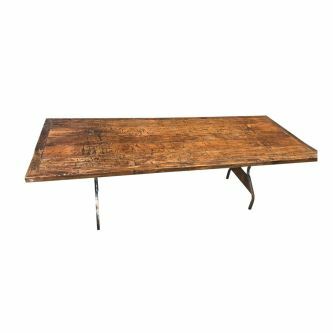 We’d be happy to discuss your vision and help to match you up with the right tables and trestles to suit.